The mentioning of Meridian Little Theatre conjures the image of Jimmy Pigford. The two names are synonymous. Since taking the creative reins of MLT, Pigford has advanced the theatre’s proud tradition as one of the South’s foremost community stages. The artistic splendor of Pigford’s numerous productions has provided the catalyst of MLT’s phenomenal growth into one of the largest and most successful amateur arts organizations anywhere in America. James Adair “Jimmy” Pigford’s entire professional life has been dedicated to his love of the theatrical arts. 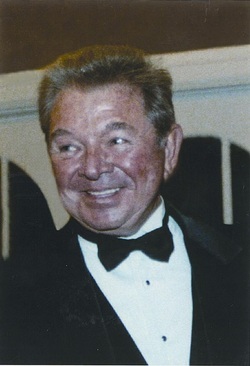 After graduating from the University of Mississippi in 1955, he began a notable stage and screen career in Hollywood. During this time in 1958 he was selected to represent Mississippi and the United States at the World’s Fair in Brussels, Belgium. Returning to Meridian due to his mother’s failing health, Jimmy re-activated his formative years with MLT in 1960. He worked as a volunteer, casting, director, Board President and ultimately was hired as Meridian Little Theatre’s full-time Resident Director in 1965. During Jimmy Pigford’s leadership the theatre’s season membership grew from 382 to 2000+, a number still approached in today’s economy. MLT was honored in 2006 and 2007 by Mississippi Magazine polls as “Best Live Theatre” in Mississippi, thanks in a large measure to the talent and dedication of Jimmy Pigford. A committed teacher as well as a gifted artist, Jimmy has led the effort to take the wonders of theatrical arts to the children of East MS and West AL. Organizing the MLT Youth Division in 1969 and MLT Summer Youth Workshop in 1996, he prompted the theatre to give free tickets to all under privileged children to attend the annual Youth Production aThe House and Senate both have passed a Concurrent Resolution honoring James Adair "Jimmy" Pigford.nd ten scholarships for the workshop. Jimmy’s artistic vision has always been accompanied by his understanding the need to advance MLT’s long term financial health. This effort came to fruition with his formation of the First Nighter Patrons membership in 1965 and the MLT Ladies’ Guild in 1968. One of his biggest challenges came with the devastating fire that completely destroyed the 52nd Street Playhouse on December 16, 1972. Jimmy insisted that MLT not miss a single production, holding performances in various host auditoriums until a new playhouse was constructed. This was accomplished for the 1976-77 Season with a State of the Arts 400 seat facility, which bears the distinctive imprint of Director Jimmy Pigford. He has unselfishly contributed his time to various community undertakings. Jimmy’s most recent recognition was from the Daughters of the American Revolution in 2008 when they bestowed on him their Community Involvement Award. The accomplishments of Jimmy Pigford’s 46 years of outstanding service to his community and to the arts are most worthy of recognition and celebration. It is with pride and confidence that he is respectfully nominated as a recipient of a 2010 Governor’s Award for Excellence in the Arts.